While scary movies, snakes, and spiders might trigger fear in some, for others, it’s the thought of getting on a plane that causes the panic button to go off. And if globetrotting is your passion, being afraid to fly is more than a phobia—it’s a curse. Lance Shoemaker knows this well. 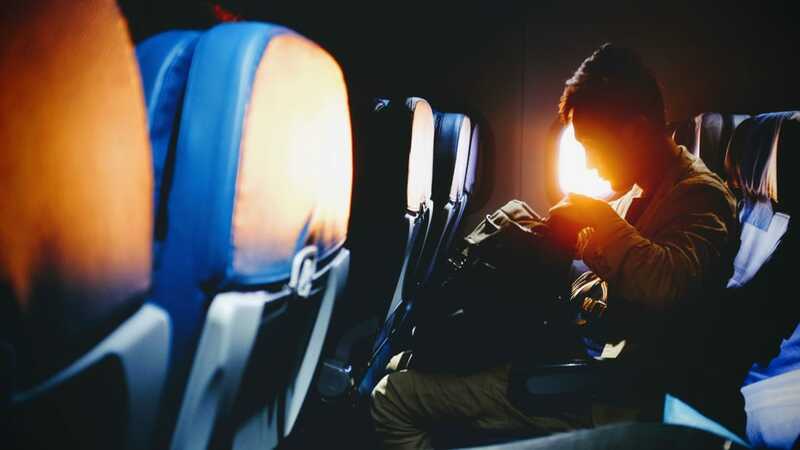 The San Jose, California resident started to become nervous on flights in his late 20s for no apparent reason. His anxiety persisted, despite his love for traveling, for the next two decades. That is, until he discovered the Fear of Flying Clinic (FOFC) in the San Francisco Bay Area in 2016. Started in 1976 by two licensed pilots—one of whom wanted to get her husband, a fearful flyer, on a plane to Australia—this non-profit puts on three to four clinics a year to help people move past the paralysis of their fear. According to FOFC’s board president, Jody Yarborough, the clinic attracts a wide variety of people. 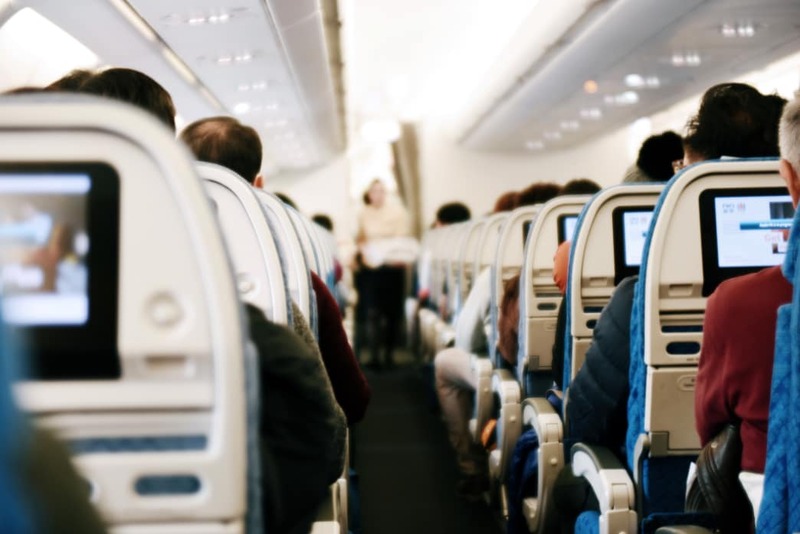 Some fly all the time but get white knuckles or feel claustrophobic when they’re on a plane, while others have never flown before or had a bad flying experience. But almost all of them come out with a better handle on their fear—and a much easier time with flying. Why Are People Afraid to Fly? The hundred or so yearly participants in FOFC programs each year are in good company. 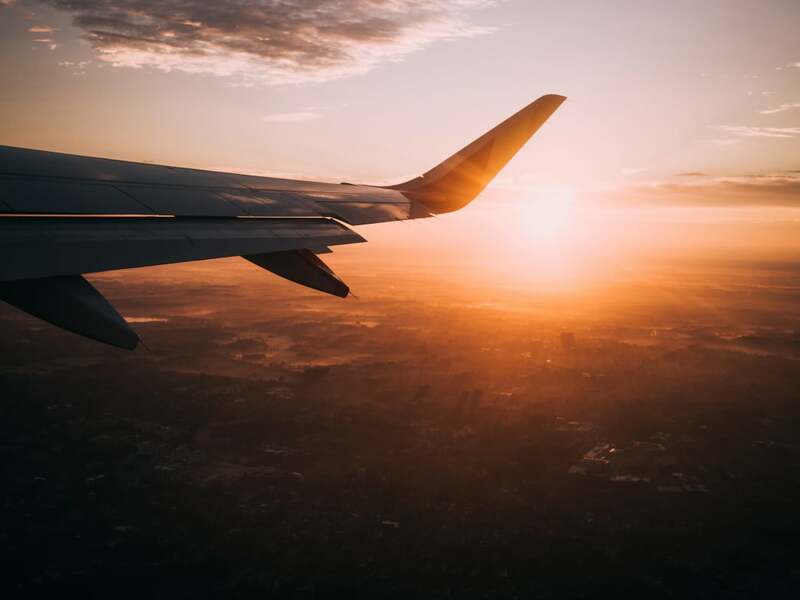 According to the National Institute of Mental Health, fear of flying affects 6.5 percent of the population, and it’s estimated that as many as 25 percent of all Americans experience some level of nervousness about flying. For the avid traveler, being in this company can be devastating. With so many statistics out there underscoring the safety of flying, what is it that stirs such uneasiness? That’s why programs like FOFC combine expert aviation information with professional support therapy. They not only teach cognitive behavioral techniques to cope with the anxiety of flying, but they also chip away at the fear itself by providing fact-based knowledge to dispel misinformation that’s feeding the phobia. A breakthrough strategy being used to treat fear of flying is Virtual Reality Therapy (VRT), along with biofeedback. Reiner is nationally recognized for his work using VRT to help patients with anxiety and phobias and says the treatment, which takes about 12 to 16 weeks, has a 90 percent success rate. By subjecting a person over time to realistic flying experiences while monitoring their physiological responses, Reiner is able to teach his clients how to slow down their nervous system and finesse their brain into thinking that everything is ok—which it usually is. When a person learns how to change their physiological response during the virtual experience, with practice, they can apply these same skills during a real flight. So, what if you don’t have the time or budget to invest in professional therapy? Here are tips and techniques you can use to make flying less scary. Checking the weather, asking to speak to the pilot, talking to fellow passengers or flight attendants about your fear may all seem like good ideas that can provide reassurance to the fearful flyer. Not necessarily. These activities, according to Reiner, actually reinforce the brain’s irrational thinking and heighten anxiety. He encourages fearful flyers to instead act like they don’t care about what’s going on with their flight. 2. Stay Busy Before and During Your Flight. One way to avoid protective behaviors is to occupy yourself with other things so you’re not focusing on fear. That could be reading a book or magazine, listening to music, compiling your holiday gift list, or doing some work . . . whatever it takes to divert your mind from worry. If you’ve ever taken a yoga class, you probably know that proper abdominal breathing is essential to achieving a state of calm. You can pay a therapist to help you learn these valuable techniques, or you can try them on your own. Abdominal breathing is best achieved by inhaling deeply for five seconds and then exhaling for another five seconds. Unlike hyperventilation, characterized by shallow chest breathing that heightens anxiety, abdominal breathing shuts down the body’s fight or flight response, making it virtually impossible to experience anxiety. Similar to proper breathing, relaxation and meditation also help calm the body’s nervous system and minimize anxiety. In recent years, relaxation and meditation apps have exploded; many of them have a specific focus on flying. Download one onto your mobile device and practice using these before your day of flying. According to the Federal Aviation Administration (FAA), your chance of being killed in a plane accident is one in 11 million. Compare that to one in 5,000, which is your chance of dying in a car or traffic accident. Understanding the relative safety of flying and knowing how planes operate are formidable weapons against fear. You can arm yourself with knowledge by participating in a program like those offered by FOFC or by checking out data from the FAA website without spending any money. Many fearful flyers become particularly nervous during take off or landing. If that sounds familiar, you may want to pay a little extra for a direct flight if possible. You’ll still experience the take off and landing, just not as often. If your fear is crippling your ability to fly, there’s no shame in using prescription medication to make flying more tolerable. Anti-anxiety prescriptions are effective as sedatives because they dull noises and movements that can trigger panic. Make sure to see a doctor for a prescription before your flight, and resist the urge to mix it with alcohol. The good news for avid travelers is there’s no reason to stop dreaming about your next adventure. Phobias are progressive, meaning they get worse over time. But the best way to overcome, or at least manage, your fear is to face it head on and keep flying. Written by Karen Bakar for RootsRated Media in partnership with RootsRated.